On October 15, 2015, the Federal Energy Regulatory Commission (FERC) issued a final rule amending its regulations regarding its assessment of annual charges for private (non-municipal) hydropower licensees and exemptees for unconstructed projects and projects adding new capacity. Under its prior regulations, FERC began assessing annual charges on private licensees and exemptees with projects greater than 1.5 MW on the date construction commences. The Federal Power Act (FPA) requires a licensee to commence construction within two years of the effective date of the license, but also authorizes FERC to grant a single two-year extension of that deadline when requested. Under the final rule, FERC has revised its regulations to commence the assessment of annual charges on private licensees and exemptees two years from the effective date of the FERC order licensing or amending the project. If a licensee/exemptee receives an extension to its commencement of construction deadline, FERC will assess annual charges at the expiration of the deadline, as extended (i.e., no later than four years after issuance of the FERC order), regardless of whether construction has commenced on that date. FERC’s final rule does not change the regulations for state or municipal entities, which are not assessed annual charges until the project begins operating. The final rule becomes effective on December 21, 2015 and applies to any license, exemption, or amendment to a non-municipal entity issued after the effective date, even for those applications currently pending before FERC. For licenses, exemptions, and amendments issued prior to the effective date of the rule, FERC will assess annual charges under the prior rules—on the date construction commences. FERC’s final rule will affect non-municipal hydropower developers and licensees by assessing annual charges later than under the prior regulations. Unlike the prior rule, which applied these charges once construction begins, developers will not be assessed charges under the new rule until the deadline for commencing construction. In other words, non-municipal hydropower developers will no longer be assessed annual charges for the period of time between actual commencement of construction and the deadline for commencing construction. On October 23, 2015, the Environmental Protection Agency (EPA) published in the Federal Register its final “Clean Power Plan,” a rule promulgated under section 111(d) of the Clean Air Act that requires states to submit plans that will set carbon dioxide emission reduction limits on existing fossil fuel-fired electric generating units in the U.S. power sector. States have until September 2016 to submit initial plans (with the possibility of a 2 year extension). Publication in the Federal Register has triggered a 60-day deadline to file all legal challenges of the rule. Upon its publication, a number of challengers, including a group of 24 states, have already filed petitions for judicial review of the rule. Those challenges have been consolidated and are pending before the U.S. Court of Appeals for the District of Columbia Circuit. The challengers have also requested the court to issue a stay of the rule pending judicial review. Simultaneously, EPA published a proposed rule outlining a federal plan that will apply to power plants in states that do not submit an approvable state plan, and a set of model trading rules in order to provide states additional guidance. As part of the federal plan, EPA proposes to implement a Clean Energy Incentive Program (CEIP). Under this program, EPA will provide matching allowances or emission rate credits to participating states in which new wind and solar projects and energy efficiency projects in low-income communities begin generating or reduce energy demand during 2020 or 2021, prior to the rule’s compliance start date of 2022. Hydropower is not included in the CEIP program. EPA has requested comments on the proposed federal plan, model trading rules, and CEIP program, which are due on January 21, 2016. EPA is also holding four, two-day public hearings in mid-November across the country on the proposed federal plan and Clean Power Plan implementation issues. Additional information on the Clean Power Plan is available on our website. On October 9, 2015, the U.S. Court of Appeals for the Sixth Circuit (Sixth Circuit) granted 18 states’ petitions to stay implementation of the EPA and U.S. Army Corps of Engineers’ final rule redefining jurisdictional “waters of the United States” under the Clean Water Act (CWA). While petitions for review were filed by multiple states, industry, and environmental groups in eight different U.S. Courts of Appeals, the Sixth Circuit was chosen to hear the case, and all petitions have been consolidated in that court. The Sixth Circuit’s stay blocks implementation of the final CWA rule nationwide and is in effect until the court determines whether it has jurisdiction to hear challenges to the final rule. State and industry members have filed motions to dismiss the appeals, arguing that all challenges should be brought in the district courts. Many of the parties challenging the final CWA rule filed petitions in both the district courts and the courts of appeals. While the Sixth Circuit recognized that the agencies had promulgated the final rule “based on reliable peer-reviewed science” to protect water quality, the court determined a nationwide stay was necessary to allow time for a more deliberate determination of whether the final rule is valid, and to provide nation-wide consistency in the interim. Additionally, the court found that the 18 states demonstrated a “substantial possibility of success” in proving that the final CWA rule is invalid because it may be at odds with U.S. Supreme Court precedent, among other reasons necessitating a stay. If the court determines it does not have jurisdiction to hear the appeals, it will dismiss the petitions for review and presumably challenges to the rule will proceed in the district courts. If the court determines it does have jurisdiction over challenges to the final rule, petitioners may appeal that decision to the Supreme Court. On October 8, 2015, the U.S. Fish and Wildlife Service (USFWS) published its 12-month finding on a 2011 petition to list the American eel as threatened or endangered under the Endangered Species Act (ESA), finding that listing is not warranted. USFWS found in 2007 that listing the American eel under the ESA was not warranted. Several years later, however, environmental groups petitioned USFWS to initiate another status review of the species. The October 8 decision focused primarily on new information regarding stressor affecting the American eel since the 2007 decision: climate change, parasites, habitat loss, migratory effects from hydroelectric projects, recreational and commercial harvests, and contaminants. USFWS concluded that none of these stressors were of “sufficient imminence, intensity, or magnitude” to indicate that the American eel is threatened or endangered. The decision notes that while hydroelectric dams might have resulted in historical habitat losses and population reductions, the American eel remains widely distributed over the majority of its historical range. 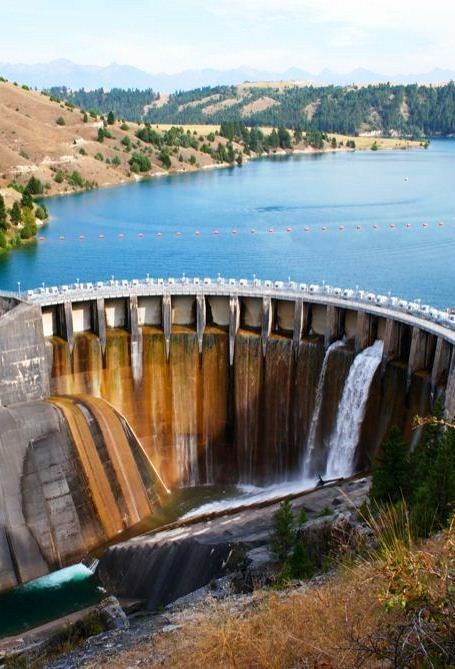 With respect to migratory effects from hydroelectric projects, the decision focused on downstream effects, noting that dams can delay downstream migration and that hydropower turbines can result in injury or mortality. While USFWS noted that these effects are poorly understood, it found that the installation of downstream passage measures imposed through FERC licensing processes reduces this mortality. While the decision did not commit USFWS to a future status review of the American eel, USFWS did request new information about the status of and stressors to American eel to help USFWS monitor the species and encourage its conservation. On October 16, 2015, FERC issued a final rule, Order No. 816, revising its regulations governing the wholesale sales of energy, capacity, and ancillary services at market-based rates (MBR). The revision is intended to streamline, eliminate, and clarify certain aspects of FERC’s market-based rate filing requirements. With respect to hydropower licensees with MBR authority, FERC clarified that such sellers that were granted waiver of Part 101 of FERC’s regulations—the Uniform System of Accounts—are not exempt from Part 101 with respect to compliance with their license requirements. To that end, FERC rejected industry comments that licensees’ use of Generally Accepted Accounting Principles, instead of the Uniform System of Accounts, would satisfy their statutory obligations under Part I of the FPA. However, FERC found that licensees that sell only at market-based rates may meet their obligations to comply with the Uniform System of Accounts by following General Instruction No. 16 under Part 101, which requires hydropower licensees to keep separate records for each licensed project relating to net investment. Any hydropower licensees with a cost-based rate tariff on file must continue to comply with all the applicable requirements of Part 101. All MBR sellers must revise the “Limitation and Exemptions” section of their tariffs the next time they make an MBR filing to reflect the clarifications set forth in Order No. 816. The final rule becomes effective on January 28, 2016. Requests for rehearing of the final rule are due by November 16, 2015.